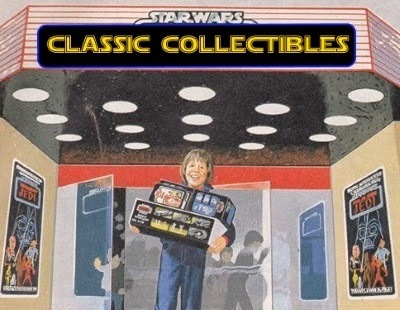 Revengeofthe5th.net: Check out the rare "YPS Snowtrooper" action figure from Germany! Check out the rare "YPS Snowtrooper" action figure from Germany! Here's a very cool foreign vintage item you've likely never seen before. 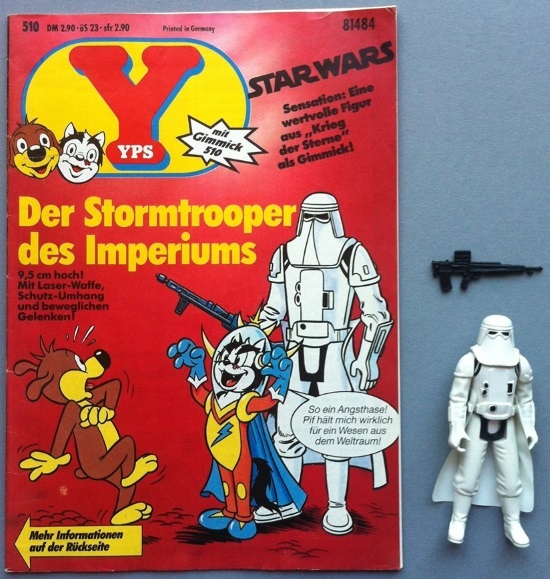 This Snowtrooper figure was sold in Germany packaged with a "YPS" comic book, a popular kid's book that often included a "gimmick toy" to boost sales. 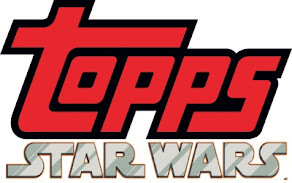 One such issue included a Snowtrooper figure, which was molded from a different type of plastic that made it off-white compared to regular Snowtrooper figures. 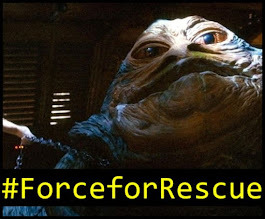 The figure included a different type of cape and different-colored versions of the standard Snowtrooper rifle, but some even came with the gun pictured above, which was actually a gun used in the "Action Force" action figure line (Europe's version of G.I. Joe). The figure is a rare find today, especially with the comic, and commands a premium on the collector market. You can find out more about the YPS Snowtrooper (and see more pictures) by clicking here to visit KennerSuperPowers.com.